Solid state welding processes have been applied in industry for decades. The friction welded bond between two work pieces has provided a cost effective and efficient method of permanently joining materials of an identical, similar or dissimilar type, though as demand increases and the need to remain competitive becomes a key driver, manufacturers are exploring new composite materials and a wider range of combinations. A defect free and time efficient process is integral to the appeal of the friction welding process for industrial and safety critical applications. When we consider the industrial applications into which the finished assemblies, joined by this process are integrated; power generation industries, automotive industries, chemical and nuclear industries, aerospace and oil and gas industries and also factor into that equation the uptake in new and more dissimilar material bonds, there has to exist a stringent testing process: mechanical, metallurgical and chemical property analysis. Rotary friction welding, like any welding process can have an impact upon the properties of the materials that are being bonded, for that reason, prior to a product being released to market, KUKA can conduct a series of testing and analysis using SEM (Scanning Electron Microscope) alongside EDAX methods (Energy Dispersive Analysis X-ray) conducted on premise by Professor Kameel Sawalha – Specialist in the examination of the integrity of all types of welding including rotational and Linear friction welding of all types of materials. One key advantage of rotary friction welding is the diversity and range of solid materials that can be joined. The variance in thermal expansion rates would make it impossible to bond dissimilar materials by traditional welding methods; essentially a mechanical connection would be required. Friction welding provides a full strength, homogenous bond across the entire interface, achieved by continuous rotational contact between the two work pieces that produces heat between two interfaces, the materials become plastic and force is applied to displace the plastic material into an upset and a forged bond is created. One such bi-metallic combination that can be successfully bonded using the friction welding method is copper-aluminium. The use of non-ferrous material combinations such as this features prominently in electrical engineering applications. Consider cable connectors. The electrical properties of copper still make it the best material for electrical conduction and connection. But there are also good reasons for using aluminium in terms of cost and weight reduction and the need for manufacturers to join the two is becoming more and more frequent. Many manufacturers today are outsourcing their friction welding requirements, not only as a means to save costs and address the demand versus supply balance, but as a means to ensure the supply of a quality product. KUKA’s on premise metallurgical laboratory provides a comprehensive quality assurance and materials analysis service, in the context of product development, prototyping and production. Ensuring that your prototype, early in the design process is as close to the finished item, provides both cost savings and reduction in time to market. When supporting the production of a bi-metallic welds (in addition to the bond of identical & similar materials), KUKA can conduct a series of visual, metallurgical and mechanical inspections and checks for instance, hardness surveys, micro and macro inspection, mechanical testing including bend testing and tensile testing, plus more detailed examinations for instance SEM and EDAX testing the materials before and after the weld has taken place. Quality is as much an internal characteristic as it is external. Whilst your part should look like the product, its structural integrity, function and reliability is paramount to the success of your business. For this reason KUKA will only proceed to mass production once a prototype has been accepted as conforming in all respects by the customer/end user. These rigorous processes and procedures extend right back to receipt of materials on site, to ensure optimum quality output. Where applicable, condition and cleanliness of the material interfaces can affect weld quality. Contaminants at the interface are not permitted. Therefore stringent pre-weld material preparation procedures exist for certain material combinations. A washing process and subsequent facing operation removes any surface contamination and oxidisation on non-ferrous materials immediately prior to friction welding. These pre weld preparation processes are important to ensure a quality bond. 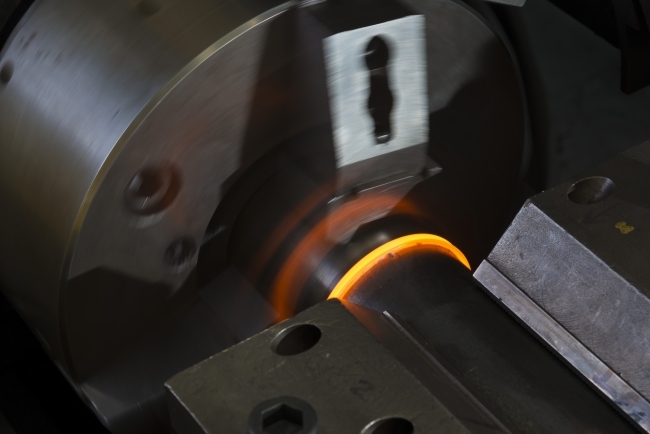 KUKA’s friction welding proficiencies aren’t just applied to solid bonds, or non-ferrous combinations, but also to most steels and many exotic materials and hollow structures such as tubes friction welded to themselves or to solids like bars or plates. For instance, a commonly friction welded component is a drill rod for oil and gas exploration. Drill rods are generally manufactured from high quality steels that can harden in the heat affected zone after friction welding. They may require a post weld heat treatment to temper the materials back, bringing the material hardness values and general properties back to near parent material ranges. KUKA can offer a PWHT by the induction method of heat treatment. The process ensures that the welded product(s) maintain inherent material qualities. KUKA’s Halesowen site houses one of the biggest friction welding sub contract facilities in Europe, comprising a total of seven friction welding machines with forge capacities ranging from 3 – 150 tons. 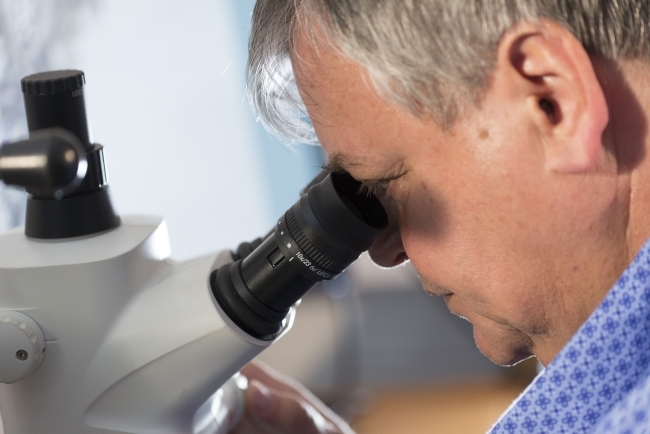 We are constantly innovating and developing solid bond processes to ensure we can continue to provide our customers diverse and achievable solutions.